How to Prevent Ingrown Hairs. Ingrown hairs occur when the cut end of a hair curls and grows back into the same hair follicle, usually resulting in a raised bump on the skin. Knowing the best way to shave and treat your freshly shaved skin can help you to prevent ingrown hairs from forming. Allow your skin to be wet for at least five minutes before shaving. Hair that is well saturated is more easily cut. You might consider shaving after you shower, or in the shower, to give the hair time to soften. Exfoliate your skin before shaving. Keeping the follicles well-moisturized helps prevent ingrown hairs by encouraging the hair to grow in the right direction. Shave in the direction of the hair growth and don't go over one area repeatedly with the razor. Hair is often cut too short when you shave against the grain, leading to the hair going below the skin surface, and resulting in ingrown hairs. Rinse the razor frequently as you're shaving. A clean razor is less likely to deposit bacteria onto freshly shaved skin, which can cause infection within ingrown hairs. Consider using an electric razor, particularly if your hair is naturally curly and more prone to ingrown hairs. While an electric razor doesn't produce as close a shave as a razor, it also doesn't cut the hair so sharply that it makes the hair more likely to become ingrown. 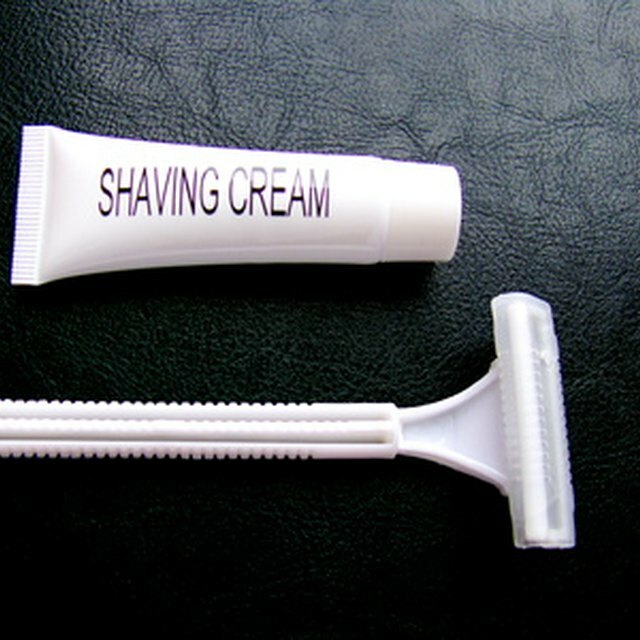 Use a product such as tea tree oil or an antibacterial cream after shaving to keep ingrown hairs from forming.